I am not a native Mainer but Maine has been my home for over 30 years. Needless to say, my head and my heart belong here. I discovered the joys of hiking a little later in life and now I am spending time “catching up”. My initial journey did not start anywhere near the AT but with flat and easy hikes along and near the Maine coast. 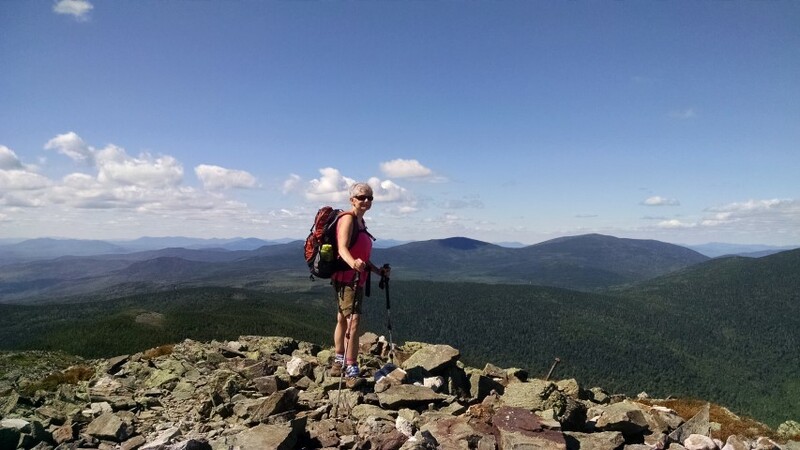 Thoughts of the 2,180 plus mile public footpath really did not cross my mind until I discovered the tall peaks of New England, many of which are accessible via the AT. Over the years, my appreciation for this amazing feat of wilderness engineering has only grown exponentially and as I’ve discovered, Maine’s section contains its own natural and unique beauty. In just a single day one can walk along a lush pine-needled forest floor, dip weary feet in the pristine waters of a high elevation pond, and feast the eyes on a spectacular 360° view from one of its magnificent mountaintops. There isn’t a day that goes by that I think how fortunate I am to be able to experience this amazing, wild and spectacularly beautiful state along the Appalachian Trail.